‘Acoustic Isle’ is an odd thing. At best it’s an amourphous, ever-evolving, ever-so-slightly unhinged collective of interesting and eclectic gigs with very little interplay brought under the broadest of umbrellas. At worst it’s an ill-thought out ploy that despite having good intentions, essentially devolves into free-advertising for the usual ennui of rock cover bands down yer local, that struggle to grasp the concept of acoustic, much less embrace it. It can’t be denied though, each year, it’s responsible for some belting gigs in-and-amoungst the opertunistic tripe. In it’s first year, Galactic Events brought down ‘Mr. B The Gentleman Rhymer’, Year Two saw ‘Reading Between The Lines’ welcome an intimate set from battle-rapper and poet Mark Grist, And this year is no different. Atilla The Stockbrocker headlined a well-recieved gig with local support from RBTL’s Adam Gatterel and King Stammers. 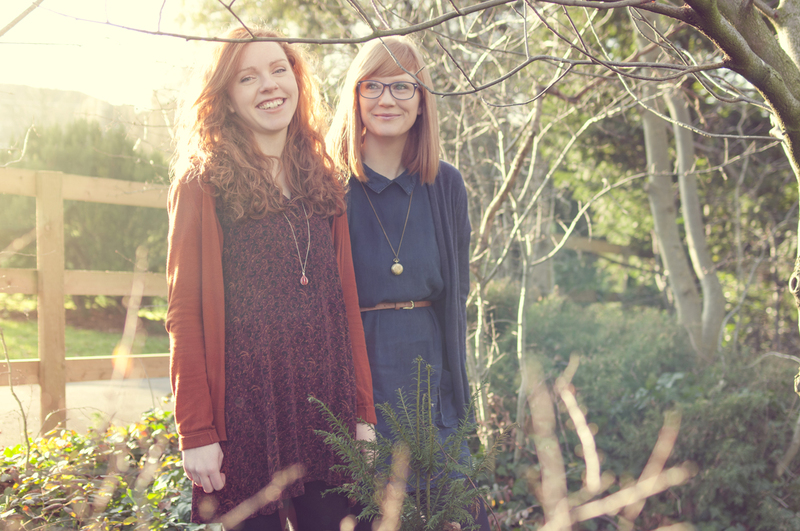 The other candidate for this years stand-out gig has to be an intimate and crowded set from North London’s up-coming folk duo ‘Worry Dolls’ at Wight Rock Bar. Kicking off the evening was one of the first performances this year for ‘The Ryde Ukulele Band’. A smattering of well-thought out Beatles refits flowed into an interesting Medley, in tribute to band-leader Graham, who, as we found out afterward, worked as a studio engineer for the legends back in the sixties. 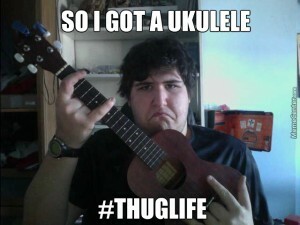 I’ve said it before, I’ll say it again, It takes a very singular type of human being not to love the sound of uke’s. It’s rather like being the type of person who gets a joy out of kicking puppies, or stealing children’s ice creams. In essence. You’re wired wrong. Next up was a homecoming gig from Steve Young. Steve evacuated the island 15 years ago, and hasn’t been back since, making this gig something of a rarity. By his own admission, he rarely gigs down south anymore. What follows is 35 minutes of perfectly servicable blues-pop. What it lacks in orginality it more than makes for in affable charm, and a warm delivary. But it’s obvious that the capacity crowd (one-in-one-out by 10pm) are here for the headliners. As they should be too. I was lucky enough to catch Worry Dolls a couple of years ago in a shaded tent somewhere, 4 ciders deep, and they were great then. The proceeding 20 mounths has only gone on to accentuate and improve all the things that made them so enjoyable. The pair smoothly bend Americana with traditional english folk, and their own tales of heartbreaks, of love and loss. Of a journey the pair forged whilst still at university over bottles of discount wine and a love of melody and songwriting. The end result is something truely unique and very much them. Lots of bands try to achieve something truely personal, few do. Worry Dolls are one of the few. It’s a 60minute masterclass in how being true-to-yourself is still one of the most compelling things you can do in contemporary music. The audience hangs on the duos every song, and as they wind up in time to rush to the final ferry of the night, the warm, rosy glow still permeates. You can catch the duo on the last few dates of their international tour, before they head back into the studio to prep for another hectic festival season.